Let's just start by agreeing that these two have some serious hair goals! (What I would do for hair like this!) Gabriela and Mike's love for each other leaves you inspired, and their calm demeanor leaves you feeling care-free. I owe these two the world for letting me snuggle into their cozy home and hang out for the morning. 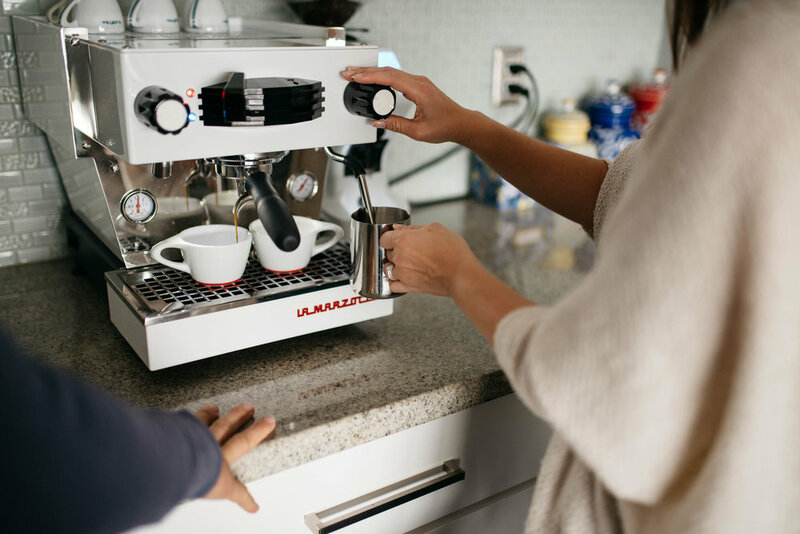 It was so much fun learning how to use their La Marzocco coffee machine. (Bonus for letting me try the final product - what a treat!) I absolutely loved our morning together. Thanks you two! Side note - If you couldn't tell by their hot bods, Gabriela and Mike are major yoga gurus. They organize a yoga retreat across the world every year, and this year it's in Sicily! You can find more information here.